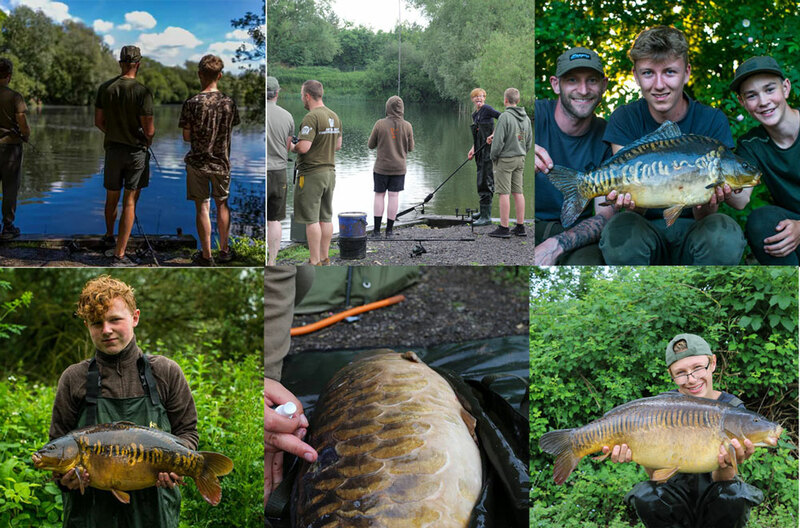 The dust has just about settled on this years Carp Camp, and what a fantastic few days and nights it was. 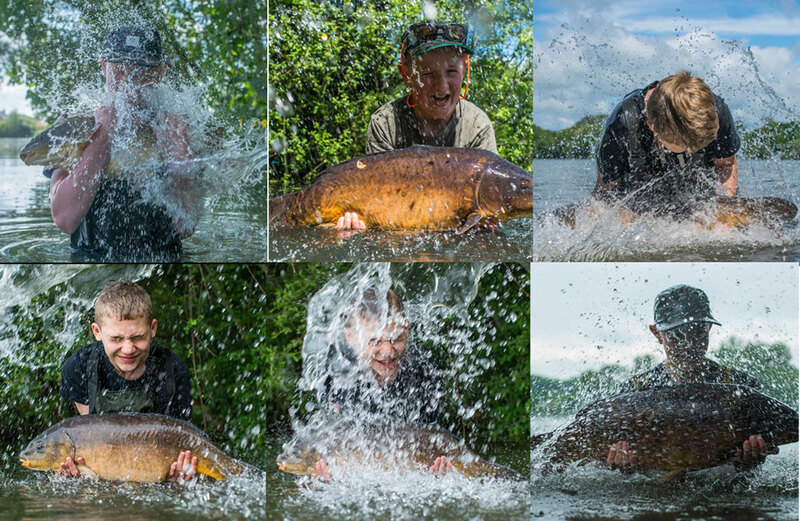 I think it’s safe to say the event was a massive success with lots of fish caught and more importantly, lots of smiling faces. The event doesn’t just happen by magic though, there’s lots of thought and effort goes into it well before the event even gets anywhere near being held so it’s always a relief when it’s over and gone well. We used to have about 20 juniors attend the event. Last year though we upped it and had 30, it was a bit hectic but we managed to pull it off. This year we increased it again and had 40 juniors, which was a crazy thing to do but you know what? We pulled it off again and I can honestly say it was the best camp ever, certainly in my time here. I’ve been involved in 8 or 9 camps now, running then for the last 4 or 5 and I have to say it’s a bit of a nightmare getting it all together. I say I’ve been running them but it is very much a team effort, Sabrina does all the admin side of things and that in itself is a task. This year we had 20 instructors to sort out, there’s always a few that can’t make it at the last minute so we also have a few on standby that turn up with very little notice, then we have a few guys on site to help out in general. We cook for everyone throughout the event and over the last 2 or 3 events we’ve been lucky enough to have Karl on hand to do all the kitchen work, assisted by myself and Jimmy but Karls the main man when it comes to the kitchen. It is without doubt the hardest job throughout the event, it’s none stop from 7 in the morning till 8 at night so my thanks go out to Karl, as they do to Sabrina, all the instructors and all helpers. It wouldn’t happen without these guys so I’m eternally grateful to each and every one of you/them. On to the event itself then now. The instructors turn up on the Wednesday and normally have a walk round the lake and see what’s going on. 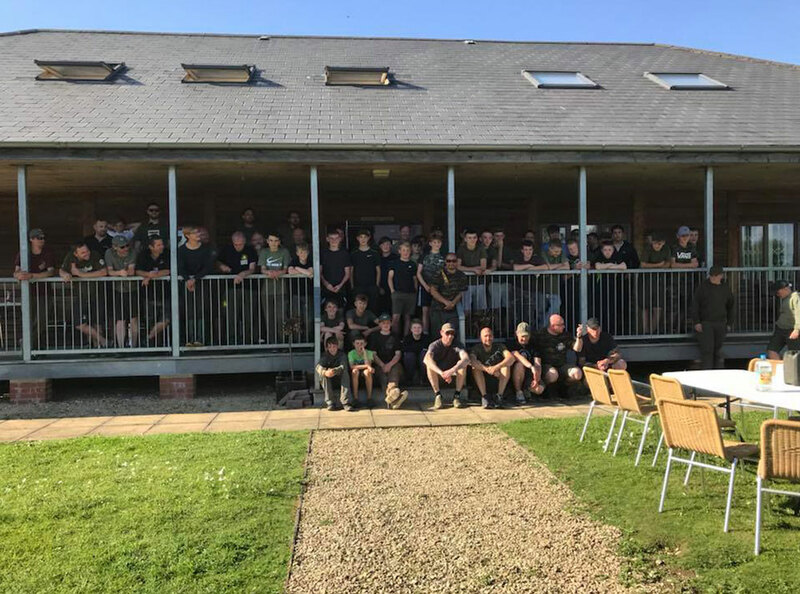 We then do a meal for them in the lodge on the evening where the guys have a bit of a social and catch up with each other before going back to their allocated swims and fire a bit of bait out in likely areas ready for the main event to begin on the Thursday. We ask the parents to bring the kids to Horseshoe for 10 o’clock, but it’s not a surprise to see some of them at the gates at 7.30. We can’t possibly let them in at that time because there’s still so much preparation to do, but come 9 o’clock they are normally blocking the roads off outside and we end up letting them in. That’s just the first spanner in the works though as I’ve normally told the instructors to be at the lodge for 9.30-10 o’clock, but with the kids turning up early we are then running around looking for the kids respective instructors before they take it upon themselves to wander off and look for them themselves so it’s normally a chaotic couple of hours before order returns and the instructors go off with their 2 juniors and get set up before returning to the lodge for a bite to eat and a bit of a briefing. They then go back to their swims which give me a bit of time to neck a few aspirins and energy drinks and breathe a sigh of relief that stage 1 is complete and everyone is with who they should be with and where they should be. No time to rest on our laurels though and it’s straight back in the kitchen and on with the evening meal. It’s always difficult working out a menu for a junior event. On the one hand you want to give them reasonably healthy food and on the other hand you want to give them something they will actually enjoy. You can serve them the healthiest meals in the world but if they don’t eat it they’ll just go back to their bivvys and load up on fizzy pop and chocolates and you’ve wasted your time, so we try and get the balance right and that, in my opinion anyway, is exactly what we do, they had chicken pasta and salad on the Thursday evening followed by crumble and custard or ice cream. Judging by the empty plates it was a wise decision. After the meal it’s back to the swims for the kids and instructors and 2 hours cleaning up for Karl, Jimmy and myself before we call it a night and collapse in our bivvys. Sleep is held back though by the monsoon storm that arrives, Thunder and lightning like you rarely see or hear swiftly followed by the heavens opening and the rain absolutely lashing down. I was watching the water getting ever nearer by bivvy before tiredness eventually won and I must of crashed out. 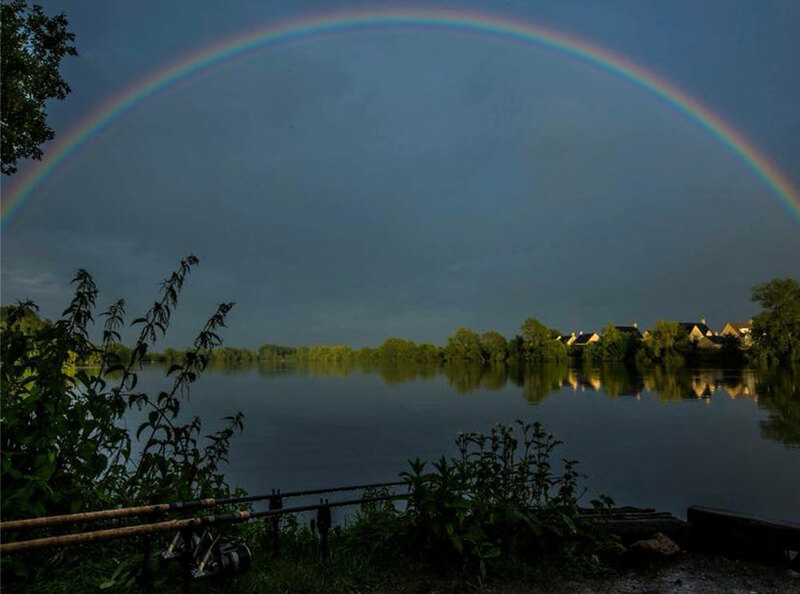 Friday morning we are up early and back in the kitchen making breakfast rolls and delivering them round the lake, spurred on by the reports we are getting of fish being caught and the juniors seemed to have enjoyed the storm. A quick dash to the cash n carry for me and Karl, knock 70 sandwiches up and call the kids back to the lodge. 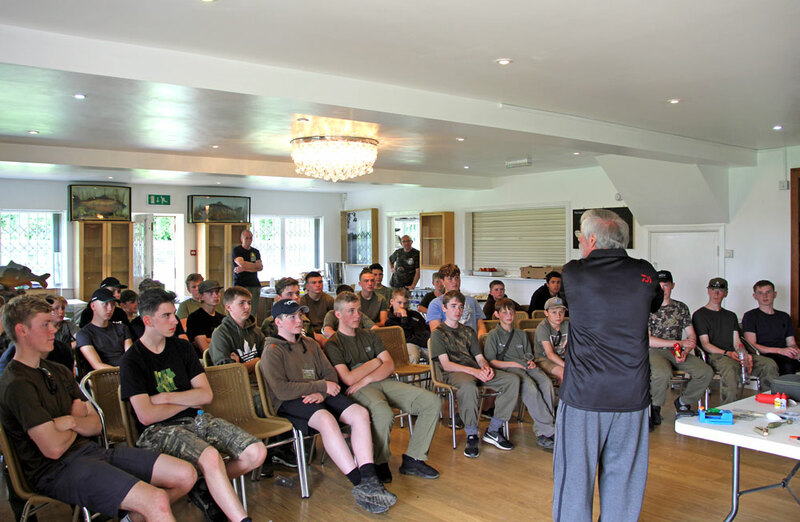 We were very fortunate this year to have Bryan Skoyles offer his services and after lunch he gave the juniors a talk on surface fishing, rigs, tactics, components etc. It’s the first time I’ve been to one of Bryans talks and I’ve got to say it was brilliant, if you ever get the chance to go to see Bryan talking I would recommend it whole heartedly, whether you’re a novice or an old hand you will learn from it, I guarantee that. It was then back to the lake for the kids and back in the kitchen for Karl and me (you seeing a pattern yet?). Same again Friday evening, only this time it was a Wigan salad (Pie, Chips and Beans for those not familiar) followed again by pudding and custard. Probably not the food of Olympic athletes but plates retuned clean as a whistle suggests it went down well, having said that, apple crumble and the beans surely count towards your five a day? A quick tidy up and back to the bivvy for another night of rain then. It was Saturday morning all too quickly and before I knew it we were back round the lake delivering the breakfasts. 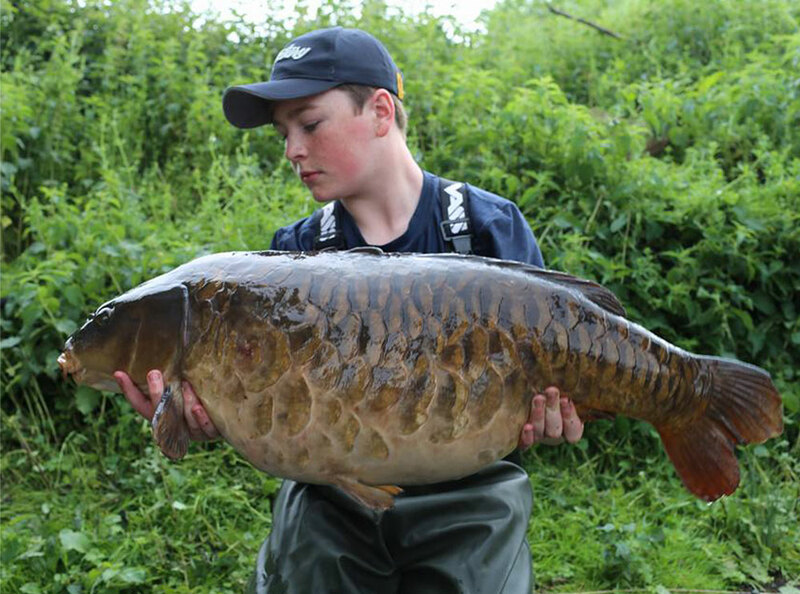 By now there had been quite a few fish out including a couple of 30’s and some big 20’s. The kids were tuned in and the instructors were working their socks off. 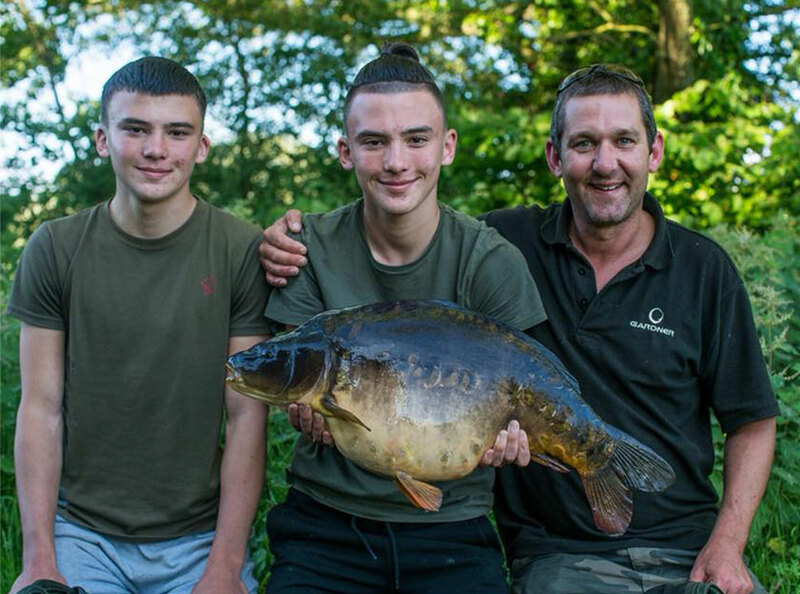 It’s great to see the commitment of the instructors at these events; I genuinely think they work harder at getting the juniors some fish than they ever do in their own fishing, I think it becomes a matter of personal pride, and a strong desire to help of course. 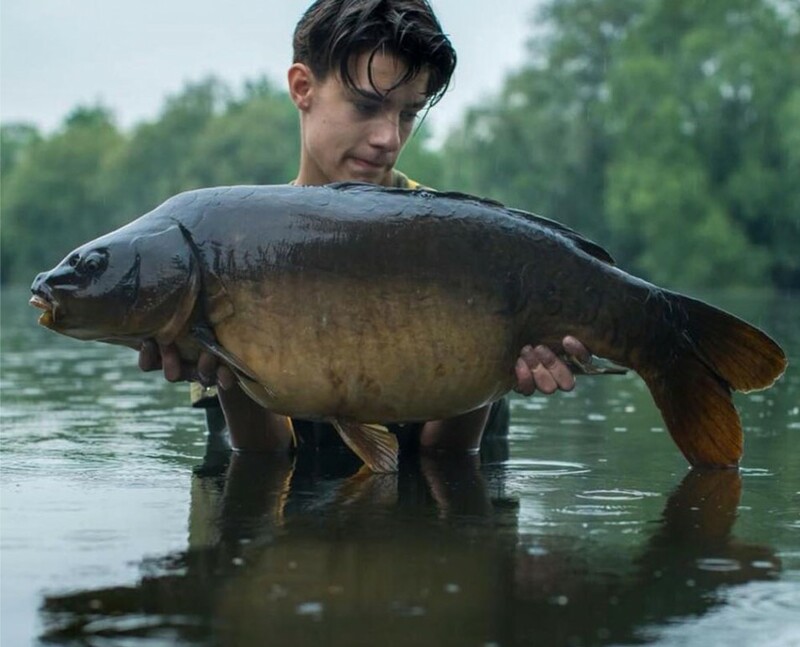 A lot of the instructors are what we/you would call ‘Sponsored Anglers’ and I often see them getting slaughtered on social media, normally by faceless keyboard warriors who are either jealous or just ignorant, but slaughter them they do never the less. 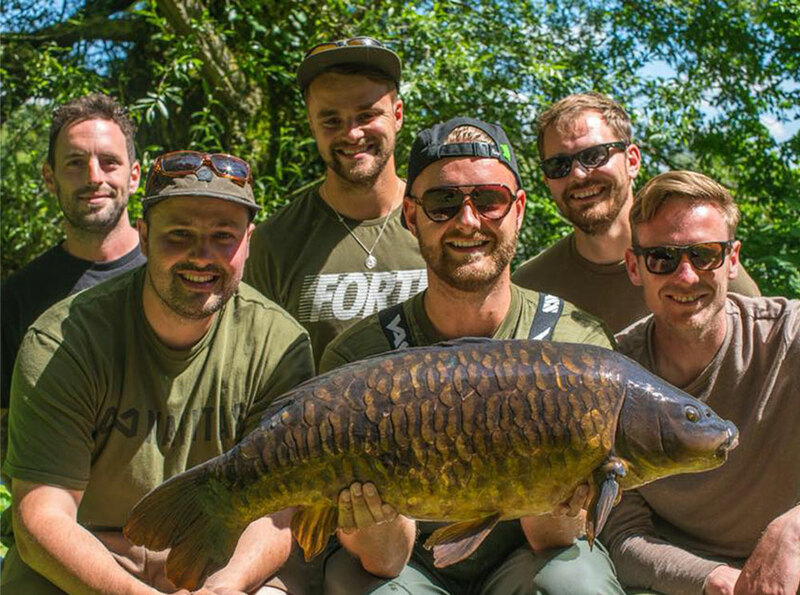 Trust me if you saw these guys at work on Junior Carp Camp you would have a very different opinion, they really do put their heart and soul into it, not to mention taking 4 days off work and coming here for zero wages., that’s quite a commitment you know and if that commitment opens a few doors for them that are locked for you, then that’s just how it is, it’s how life works, if you’re bitter and twisted about it then I can only imagine you’ve had a very sheltered life and you perhaps need to re-evaluate your own life and make the necessary adjustments to your thought process. Anyway, enough of the negative vibes and back to the event. The sun was coming out by now and it was the beginning of a glorious sunny day. 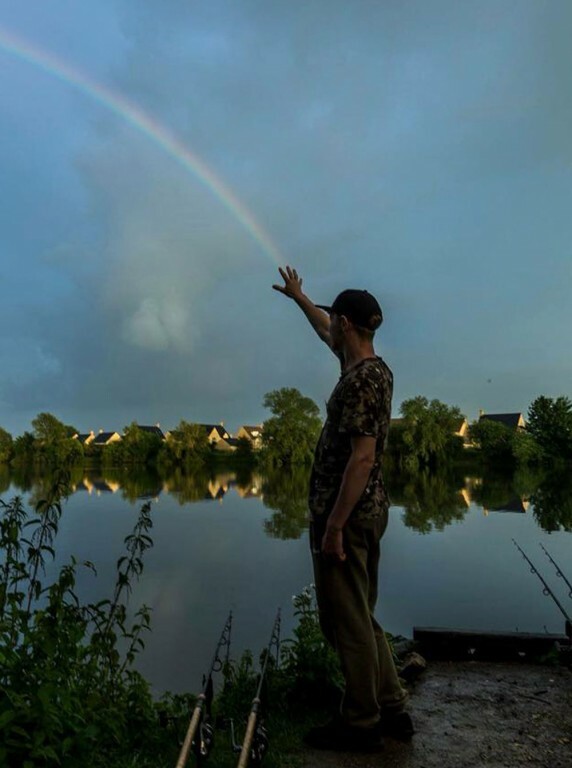 Time to get the floaters and the zigs out and for everyone to ignore my antecedently meticulous swim allocation and charge round the lake like crazy men looking for a bite. 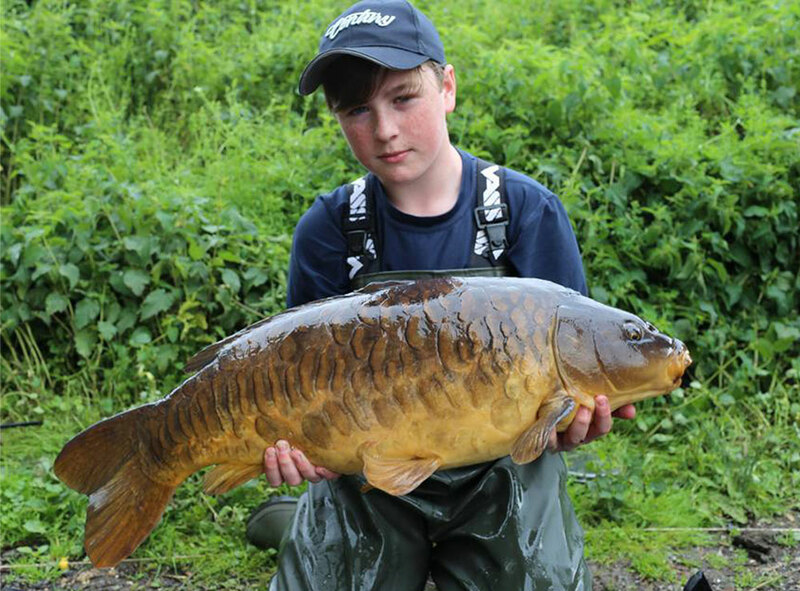 It certainly did the trick though with several of the youngsters catching their first surface or zig caught fish. 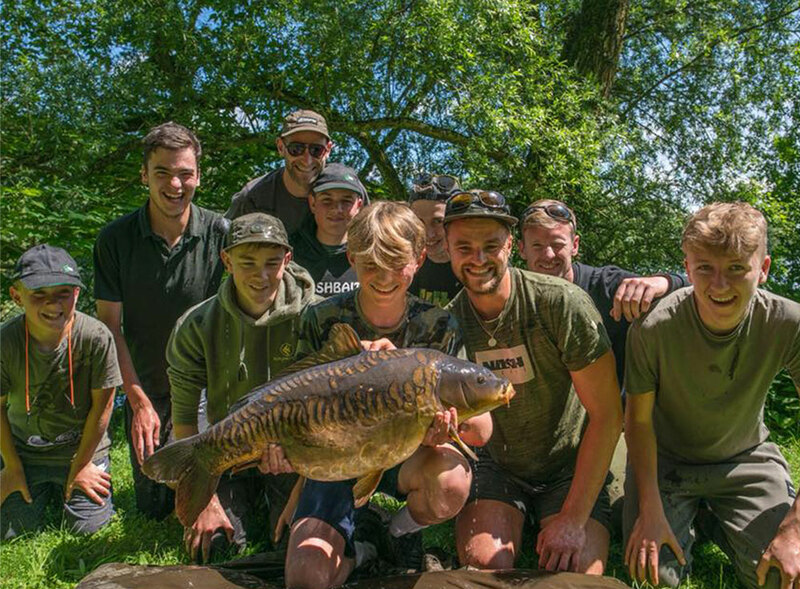 The kids were having a whale of a time and what was most pleasing to see was the ones who had already caught giving the next chance to the lads who hadn’t caught fantastic camaraderie and a creditable philosophy to take away with them back to the real world. 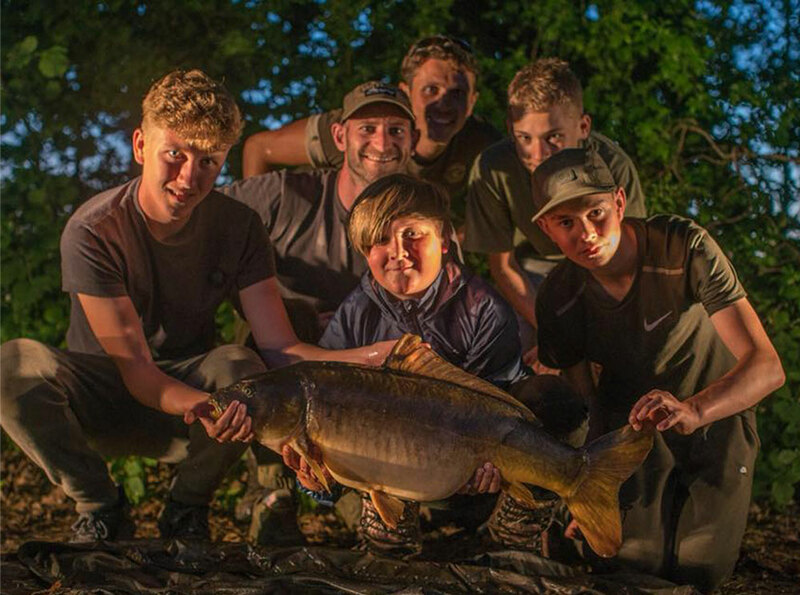 It’s not only fishing skills that we hope the youngsters take away with them from Carp Camp, but it’s other things that we hope will make them good decent young adults, I’ve already mentioned camaraderie, but it’s also good manners and respect. To be fair all the lads we’ve had through these events have been good as gold but it doesn’t harm to pull them up if they don’t say please or thank you. The best thing about this year though was no litter; bless their little cottons I think I finally got through to them, thank you all very much lol. There was a touch of poignancy for me this year though, as I mentioned I’ve run the camps for 4 or 5 years now and a lot of the juniors have been to everyone. 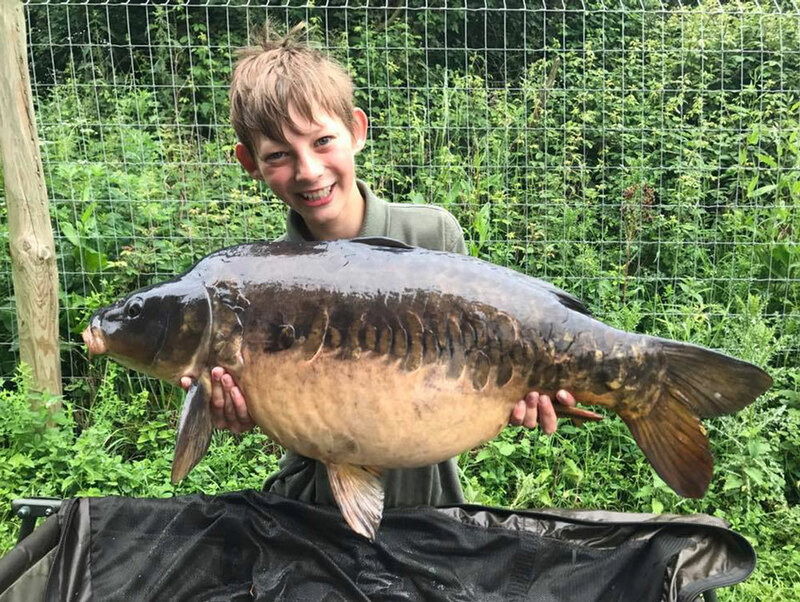 They turned up 4 or 5 years ago about 3 feet tall and looking like little cherubs and I’ve watched them grow year by year, then this year they turn up 6 feet tall with their voices broken or breaking, you then realise it’s their final year at carp camp and it’s quite sad, I guess a bit like when your kids leave home. But the cycle continues and we had some great little lads this year whose first time it was and they were brilliant, there are certainly a few characters amongst them. I look forward to seeing them grow year by year and if they turn out as good as the lads who are leaving us then they won’t go far wrong. 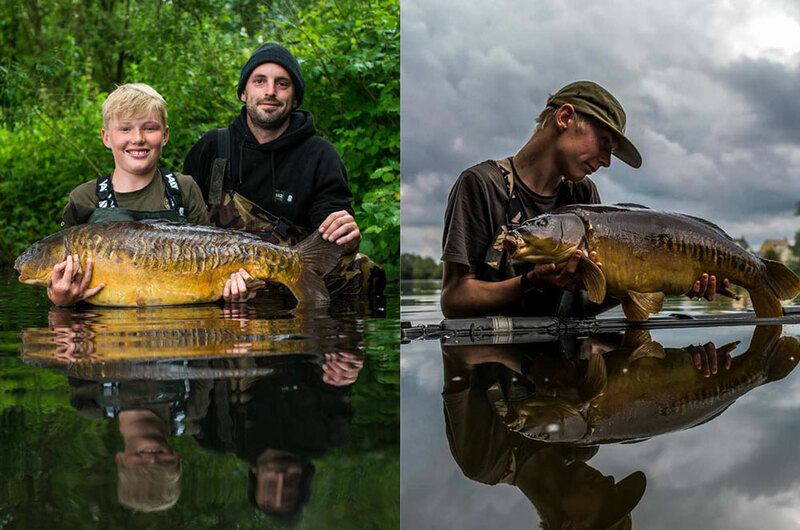 We do hope the older lads keep in touch and come back to fish here independently, I have no doubt some of them will go on to be famous (or relatively famous) in the Carp fishing fraternity, there’s some very accomplished anglers amongst them and it will be interesting to see them in the next stages of their lives. We wish them all the look in the world. It was then time for Chicken kebabs salad and wedges for Tea then back out to fish the last night. Sunday morning started off nippy and like Saturday the sun came out and it was all systems go before the parents came to pick the lads up at dinner time. 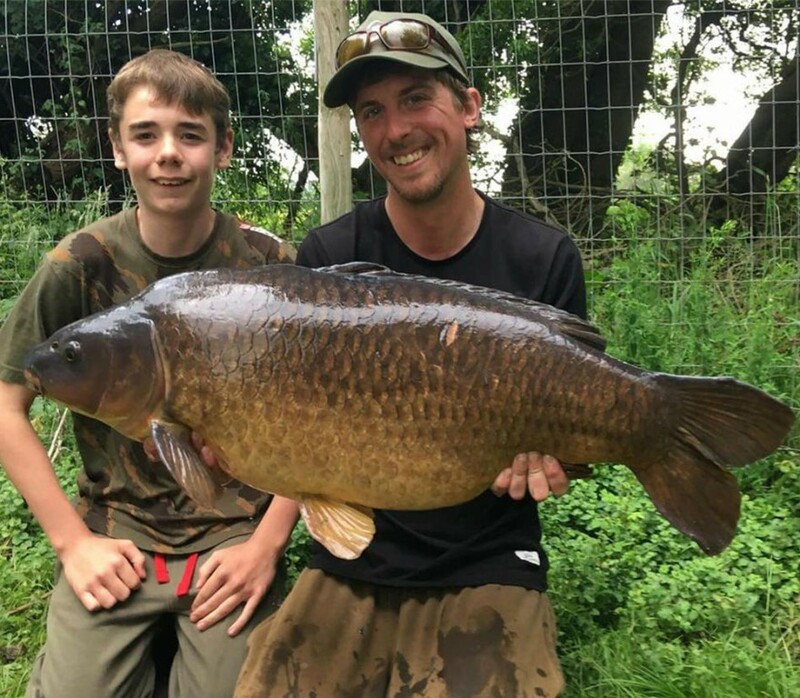 Sunday mornings fishing was a bit full on has the instructors joined together to catch a last ditch carp for any of the lads who hadn’t caught, they saved the day for a few of the lads, especially young Joe who managed his first Horseshoe carp right at last knockings. The lads were soon packed down and we all met up at the lodge for a buffet and presentation. Nash Tackle and Gardner Tackle had generously (as they always do) put together a bag of end tackle for each of the juniors which Mike and Lee handed out to the lads before they all made their way home, a great end to a fantastic weekend. Only 3 or 4 hours cleaning up and Karl and I could call it a day and home I went and relaxed. By relaxed I mean nodded off for several hours on the settee before climbing into bed. So, the scores on the doors? 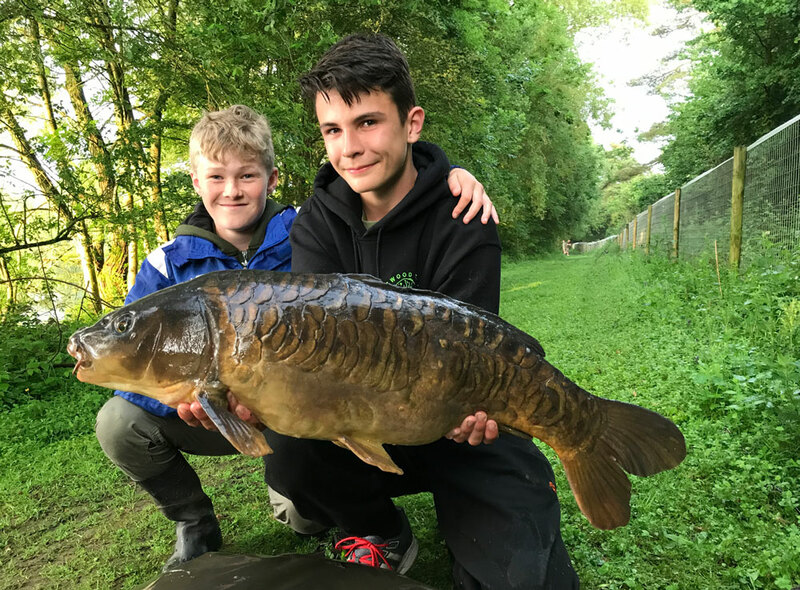 The lads had over 60 fish out between them including 3 different 30’s. 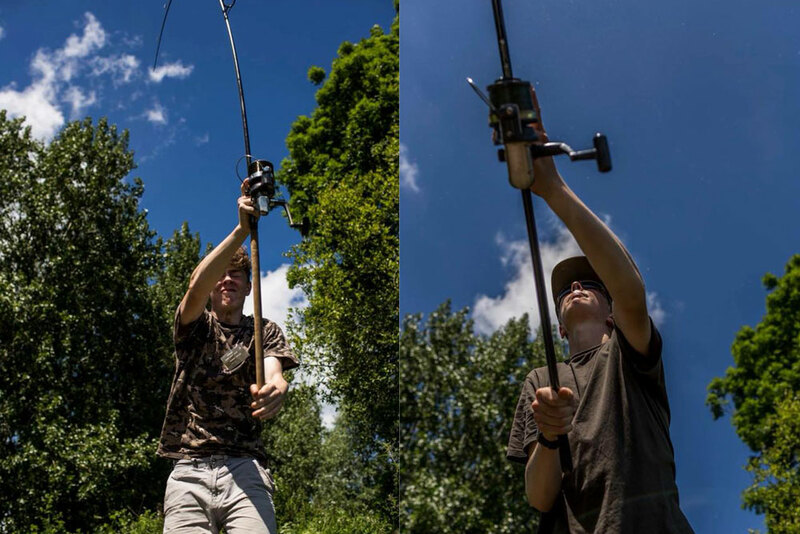 The average size of the fish worked out at 20lb (gives or take an ounce). They had 19 personal bests between them so I would say that’s some going. 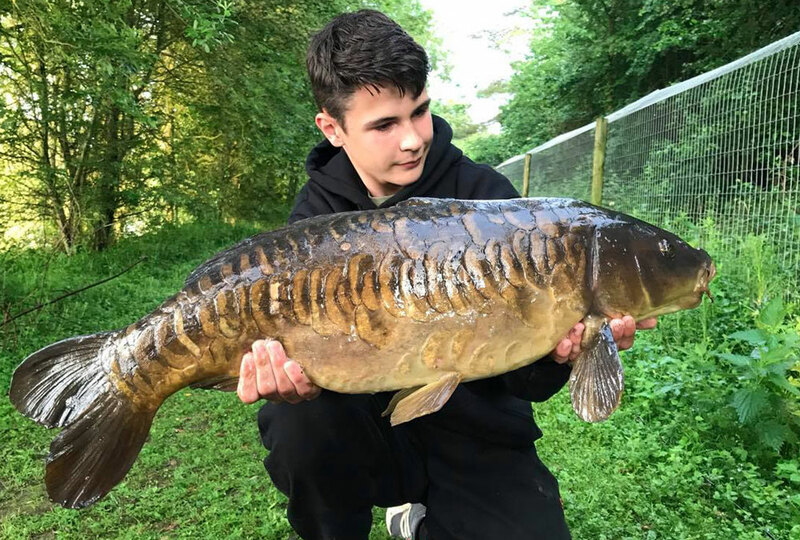 It’s not just the size or the numbers of fish that came out though, for me it was the quality of the fish, they had some proper proper lookers. Horseshoe really does have some quality fish now. 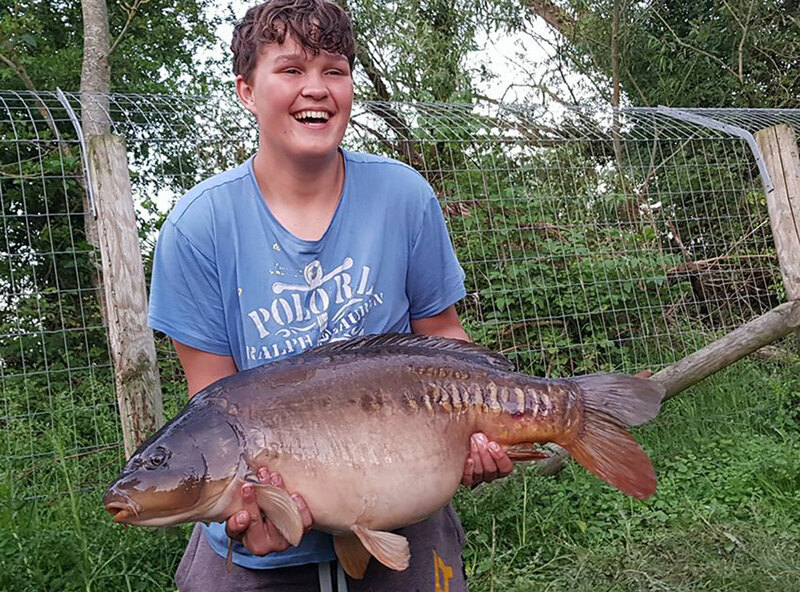 They are not the easiest fish in the world to catch but if you apply yourself you can make it look easy, which is exactly what the instructors and juniors did. 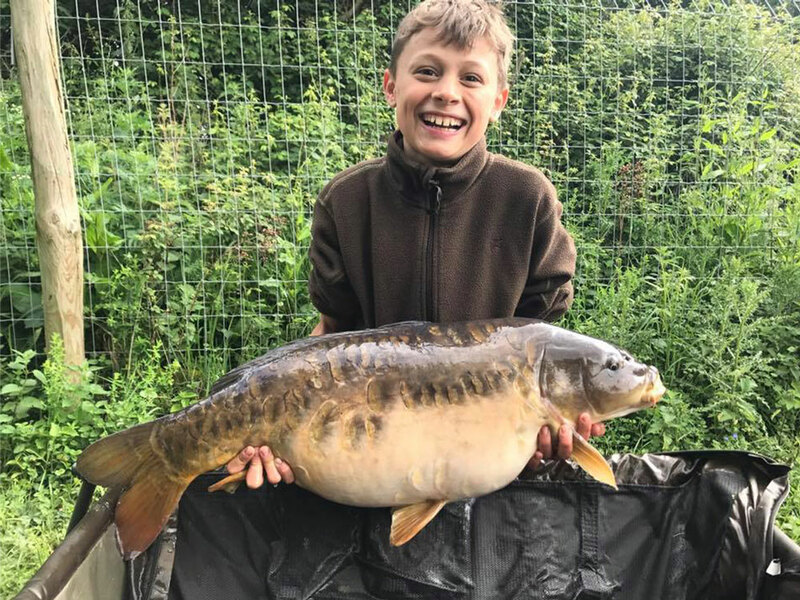 There’s guys fished here for years who haven’t had a 30 out, and there’s guys who don’t catch for session after session so to see the juniors land what they did is some achievement.